Are you looking for directions from SEHS to ECCA? Are you looking for directions from ECHS to ECCA? 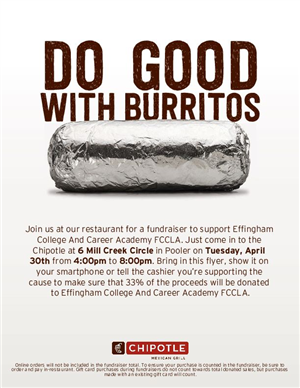 Join Effingham College and Career Academy's FCCLA Club at Chipotle in Pooler on April 30th from 4 pm to 8 pm. When ECCA is mentioned to the cashier, Chipotle will donate 33% of proceeds to the FCCLA Club! 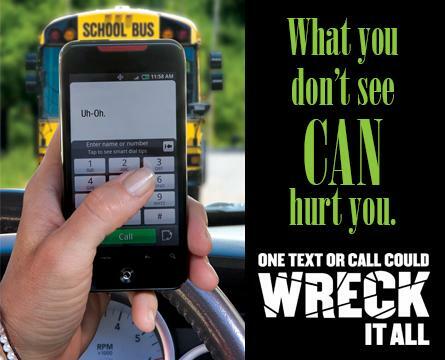 Our course helps your teen driver satisfy the Joshua’s law requirement to obtain a Class D driver’s license. In partnership with the GA Driver’s Education Commission, we are excited to provide scholarships to students who qualify! © Savannah Technical College. All rights reserved. Applications for Free & Reduced lunches can now be completed online! Use the link below or visit our Nutritional Services website for additional information. To create a high-tech career focus to better serve our students’ needs for those entering directly into the workforce from high school and those planning further postsecondary options.